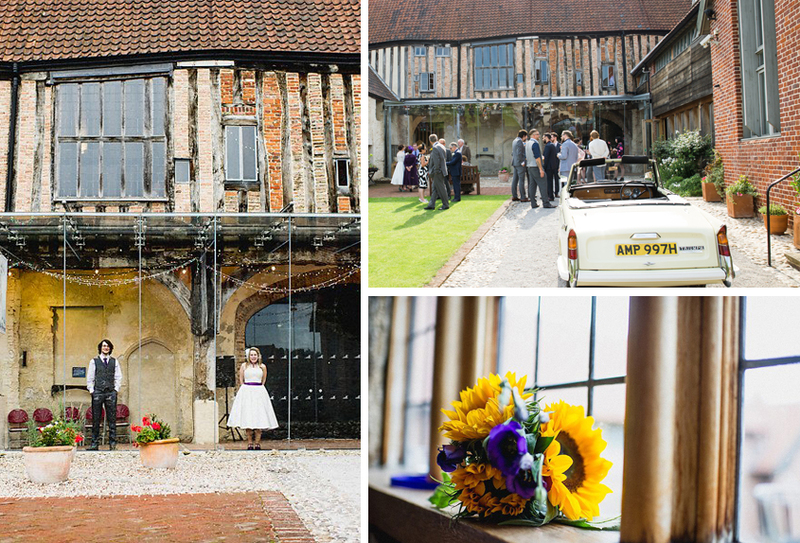 Looking for a unique, historic venue for your special day? 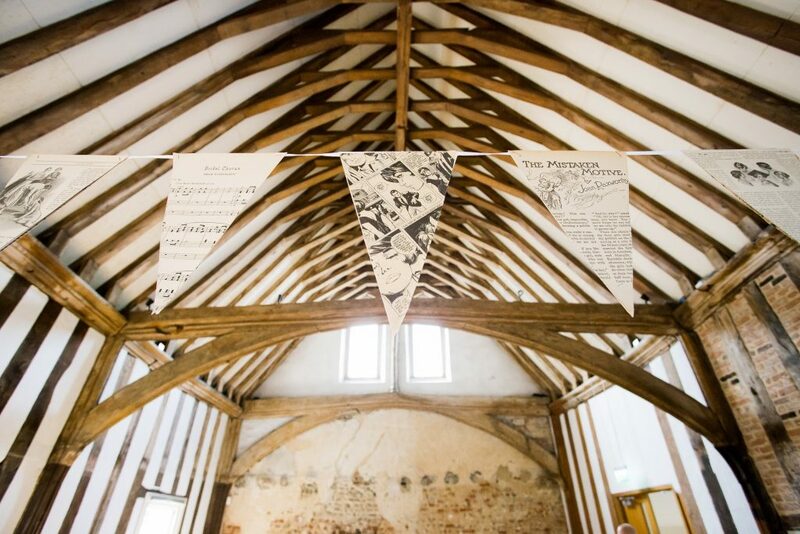 The 15th-century Dragon Hall – home to the National Centre for Writing – is a magnificent timbered trading hall and courtyard garden located in the heart of Norwich, easily accessible from city centre hotels and the train station. The soaring oak-beamed Great Hall paired with the contemporary glass wall of the Foyle Gallery offers a stunning setting for your wedding day, and the specially designed white flower border in our garden forms an elegant backdrop for photographs. We are fully licensed for weddings and civil partnerships but are also happy to host just your reception and evening party. Please note we do not offer a ceremony-only package. You will have exclusive use of the hall for the whole day. We can accommodate up to 120 people for your ceremony and 80 people for dining in our Great Hall and for dancing in the Foyle Gallery, but the space is also adaptable for smaller occasions with a more intimate feel. We work exclusively with acclaimed wedding specialists, Softley Events, to ensure that every detail of your special day is perfect and memorable.